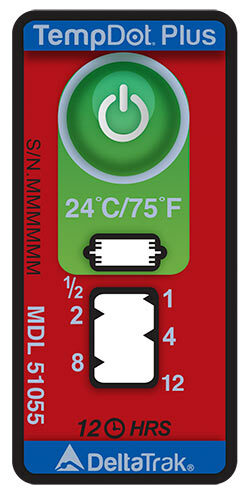 TempDot plus indicator labels are used for temperature monitoring of sensitive products in temperature between the cold chain. 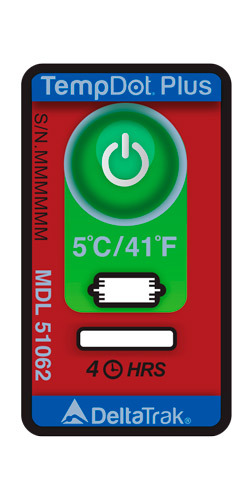 Cumulative temperature-time indicator label of the type one-time-use in these low-price captures the rise in temperature that affect the quality, such as agricultural products and seafood, meat. Indicator labels irreversible expressions accumulates the time the temperature has deviated by more than a threshold value for each label. The label "can start confirmation On such a display window of ", and also features unique graphic. 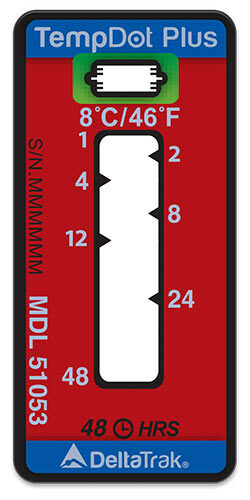 TempDot plus indicator labels can be easily affixed to the packing box of the exterior carton and transport target, it is possible to trace the state of temperature ranging from the pallet unit to one of the packing box. Via a distribution center from suppliers and factories it is possible to make the temperature monitoring until it reaches the end user. As a tool that can be determined in one of the immediately discard or accept matter how there is a deviation of temperature, transported product quality state will know at the time of arrival. 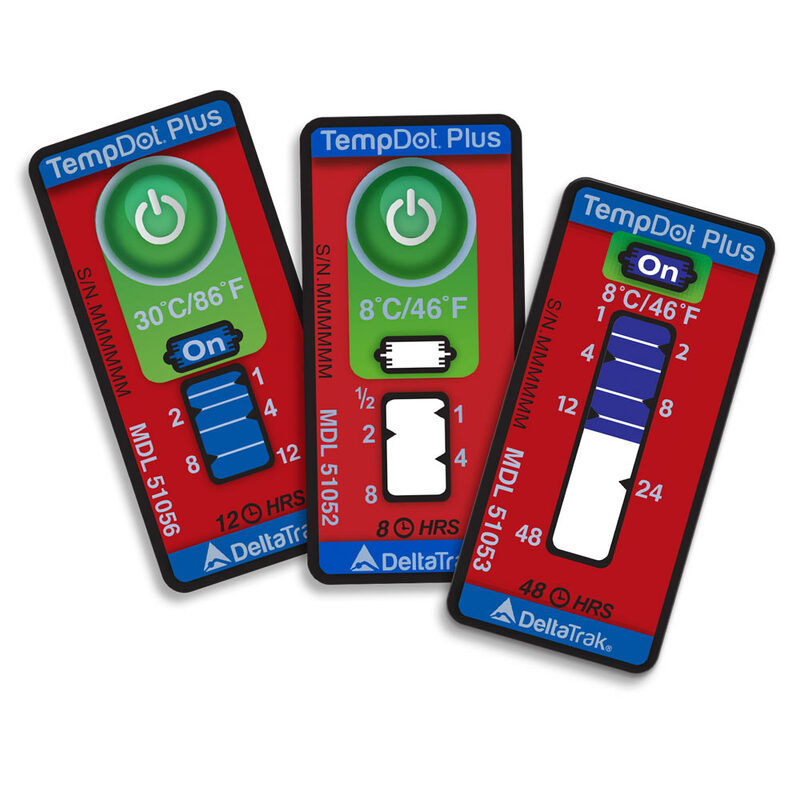 By using TempDot positive indicator labels, United states, and to help customers to meet federal regulatory requirements. Food Safety Modernization Act (FSMA), is based on the Produce Traceability Initiative (PTI) and FDA (Fish and Fishery Products) hazard and control guidelines. Indicator label of irreversible formula food, medicines, and a plurality of threshold temperature for applications such as biotechnology, and can be used to suit the different accumulated temperature label applications.